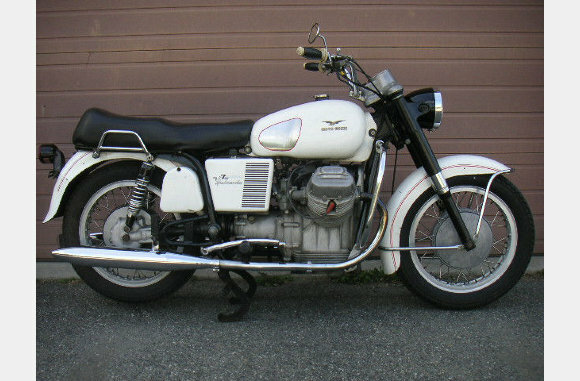 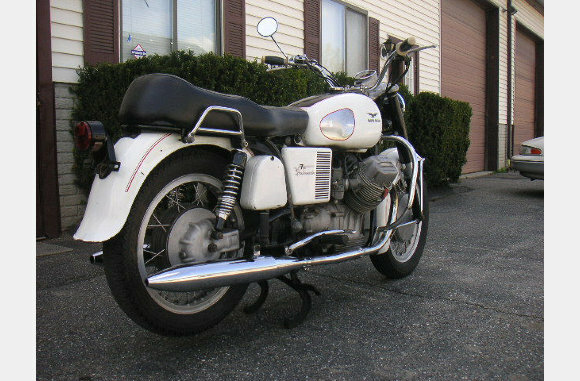 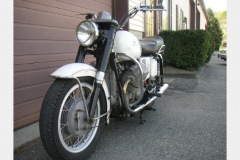 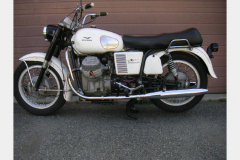 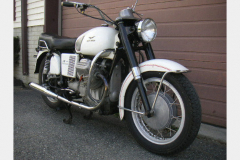 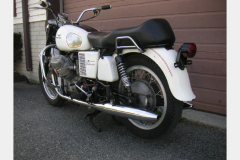 1970 Moto Guzzi 750 cc Ambassador. Classic V-Twin Italian motorcycle. White with 33,000 miles. This is a real motorcycle with steel and chrome, not one of those plastic covered scooterized bikes they make today. 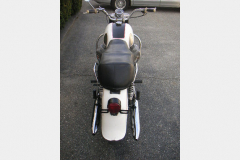 In very cool original type condition, original paint that is somewhat cracked but gives the bike a very nice patina, recovered seat, fresh rear shocks, fresh pipes. 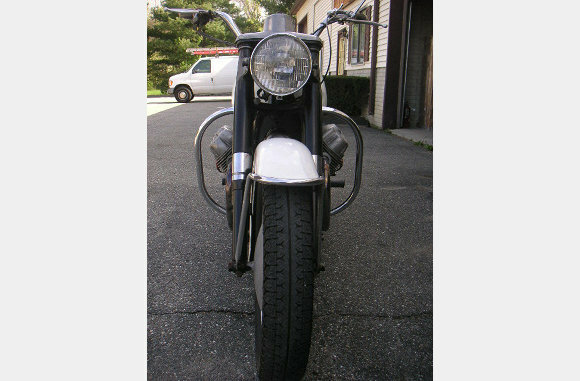 Carbs just gone thru, inside of gas tank is clean. 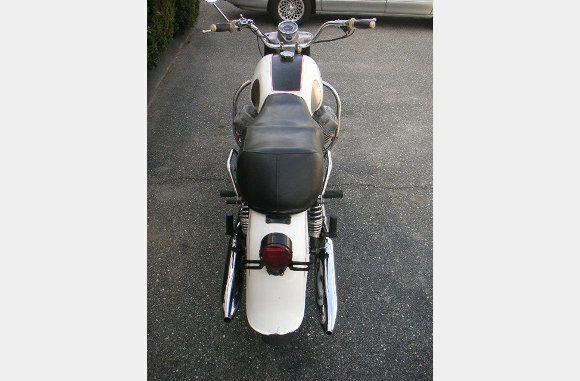 Bike runs well. As with any old machine there are always things you can tinker with, but the basics are sound.